Everyone gets what they want with this platform. 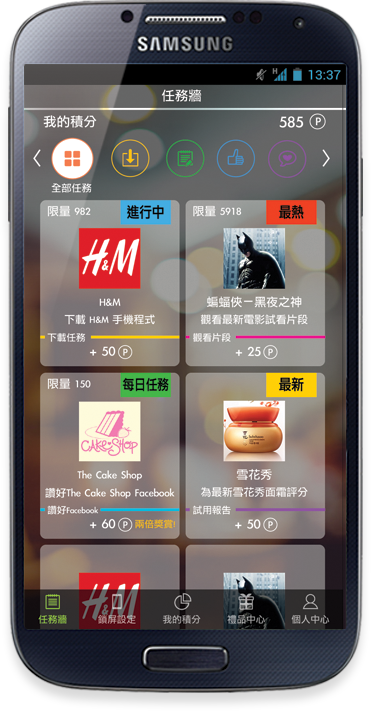 User attain information of featured apps while collecting points and rewards. Companies get significant exposure and downloads, moving up their rankings in Google Play. Random coins rewards are delivered to the users on a daily basis. Creating engrossing experience is at our utmost priority. Surprise is always the best incentive to motivate our target users. One-click install saves an extra step of downloading sdk files. Every tasks are downloaded in the blink of an eye and will never become customers’ burden.